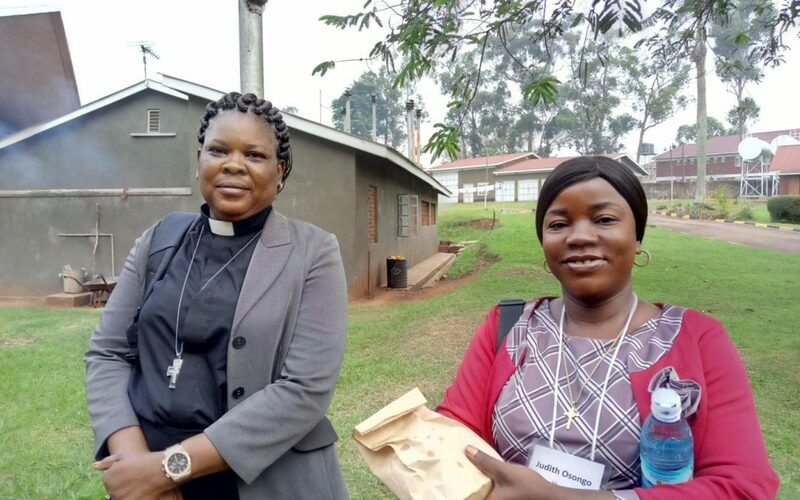 The Great Lakes Initiative (GLI) Leadership Institute was held at St. Mary’s National Seminary in Ggaba, Uganda from January 6-12, 2019. The Woman Arise Team were so happy to be part of International Christian leaders, and they came from many different parts around the world. Harper Hill Global supported Kalungi Kenneth from Uganda, Joyce Jaka from South Sudan, Judith Yanga Osongo from DR Congo, and Rev. Suzanne from DR Congo. The Leadership Institute included Christian leaders from the Catholic church, Anglican church, as well as Pentecostals, Baptists, Methodists, Mennonites, Presbyterians, and Seventh Day Adventists. Participants came from Uganda, Kenya, DR Congo, United States of America, Rwanda, Burundi, Sudan and South Sudan. GLI seeks the well-being of all citizens in their pursuit of peace, reconciliation, justice and mercy. The Great Lakes Initiative was founded by four organizations. African Leadership and Reconciliation Ministries (ALARM), which works to strengthen the African church to be an instrument of transformation in the community by focusing on developing servant leaders, reconciling relationships, and transforming communities. Duke Divinity School’s Center for Reconciliation (CFR), which is rooted in a Christian vision of God’s mission and advances God’s mission of reconciliation in a divided world by cultivating new leaders, communicating wisdom and hope, and connecting in outreach to strengthen leadership. Mennonite Central Committee (MCC), a worldwide ministry of Anabaptist churches that share God’s love and compassion for all in the name of Christ by responding to basic human needs and working for peace and justice. It envisions communities worldwide in right relationship with God, one another, and creation. World Vision International (WVI), a global Christian relief, development and advocacy organization dedicated to working with children, families, and communities to overcome poverty and injustice. Dr. Celestin Musekura, a pastor from Rwanda and also the founder of African Leadership and Reconciliation Ministries, taught about “lament”. He read scripture from Habakkuk 1: 2–3, and described that some people think that lament is lack of maturity, or a lack of faith, but it is normal and human. He expressed lament as an expression of things which are wrong in hope that the living God will listen and take action. Lament is also expressed in dance and praise (pain and grief), and it is tied to hope. Lament is a tool that God’s people use to navigate pain to overcome it and maintain their hope in God. Always ask God questions. We have a right to question God always when disasters happen. Where are you, my God? 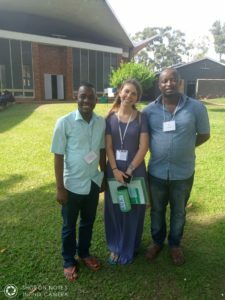 Christian Nonviolent Response to Forced Displacement This offered leaders an opportunity for communal and personal understanding of the principles, strategies, and methods of Christian nonviolence to transform violence and to support peace. The goal was to build and engage in the formation of a network for continued partnership and support in carrying out nonviolent responses to situations of forced displacement and reconciliation in their contexts. Child Protection and Ending Violence Against Children in Forced Displacement Contexts The Women Arise Team attended these sessions since the Great Lakes region countries are characterized by huge forced displaced communities. In these situations, children experience and suffer extreme levels of violence, exploitation, abuse, and neglect; addressing these challenges demand for synergized community-driven, owned and coordinated approaches as well as linking such to the existing state and non-state approaches. We were exposed to strategic tools and skills in the advancement of child protection in the displacement contexts. This included approaches such as the Ending Violence Against Children (EVAC) campaign approaches and Biblical guide that can be used by other actors to ensure children lead and experience life in all its fullness. Experience in working in such environments, challenges, and potentials for improvements was also shared. We were trained on how to better protect children, develop an effective network for child protection, grow in knowledge in child protection skills, how to handle children exposed to violence and shared experiences, and gain new strategies for advocacy. In the training, we found out that most children are violated in their homes and environments. The facilitator gave a reference on www.End-Violence.org for more information about this topic. The institute held different panels from conflicted countries like DR Congo and Burundi. Participants from these countries were selected to talk and discuss situations happening in their countries. Dr. Celestin Musekura taught about leadership and the role of the church in a forced displacement. Churches from different denominations don’t normally sit together. He asked church leaders why they don’t sit as a group to pray for the people and the nation/world. He called for us to raise up and pray for peace in DR Congo during the election crisis where people have been denied access to communications and the Internet which is so bad. We need to pray for South Sudan because it is a new country which has been in war for most of its time. He thanked Uganda for welcoming refugees from South Sudan, DR Congo, Rwanda, and Burundi. The role of the church and the unity of the church is also vital. The church is never in exile, meaning the people can go in exile but the church can’t be in exile. It’s only the church which can cross borders. People are refugees but the church is not a refugee. The preacher remains a preacher whether in a camp or a refugee settlement – unlike other world positions. A priest, a pastor, a deacon and clergy/clergywomen can still remain within their roles even when they cross country borders. Church leaders are prophets of a country even when a country does not change. He encouraged church leaders to speak to stigmatized and displaced people. He said church leaders should speak the truth. Money should not drive them. He encouraged church leaders to stay with people in all situations. You cannot teach love and tell people that you love them but run away when a crisis happens. When you hear one bullet and run away, you’re destroying all the heart and the messages of hope and love you have been preaching. He preached on John 17:1, and Jesus taught about the work of the church. Denominations are just names like Daniel, James, and Peter since they all point to one God. Denomination names can divide the church. If people are not divided by tribe and race, people can still be divided by the church. GLI helps to bring the church together. The church will win if we remain united; GLI is fighting to bring the church and its leaders together. He thanked the church in DR Congo which took part in overseeing the people of DR Congo having fair and peaceful elections. Oscar Nduwarugira thanked the GLI and the team for bringing church leaders together. Nduwarugira lives and works in Burundi, serving as General Secretary of the Union des Groupes Bibliques du Burundi. For peacebuilding, justice and reconciliation, church leaders need to work hand in hand with other stakeholders like police, community workers, and the government. Ntihemuka Etienne from Burundi, Carie Dupree a student from Duke University, and Kalungi Kenneth from Harper Hill Global pose for a photo after a training session. We need to develop servant leaders, like with the police. The church should be a model to the government but still there churches that are not servant leaders. Develop leaders who can work to see that they serve to the betterment of the next generation! Evelyne Kanyana, a panelist from Burundi, emphasized that the future is for the youth and they have to be trained in peacebuilding. Youth from different countries are seen involving themselves in all acts of violence and demonstrations. There was a time in Burundi where the police and the youth were not on good terms, and sometimes youth could run away when they see policemen even if they were not after them. But with organizations like GLI and World Vision, they have really tried to create a positive relationship between the youth and the police. We achieved most of our expectations in the conference because we also made friends and shared stories with people from different parts of the world. GLI also gave the attendants the opportunity to visit an urban refugee centre in Kampala where we talked with some of the refugees from Somalia, DR Congo, and Rwanda. ActionAid and UNHCR are doing a very good job to support the refugees living around Kampala City to acquire life skills so they can begin businesses and become economically self-sufficient. Refugees are trained in different skills such as driving, tailoring, nursery teaching, and environment management skills. We managed to interact with the refugees we found on the station and employees from ActionAid – Uganda.